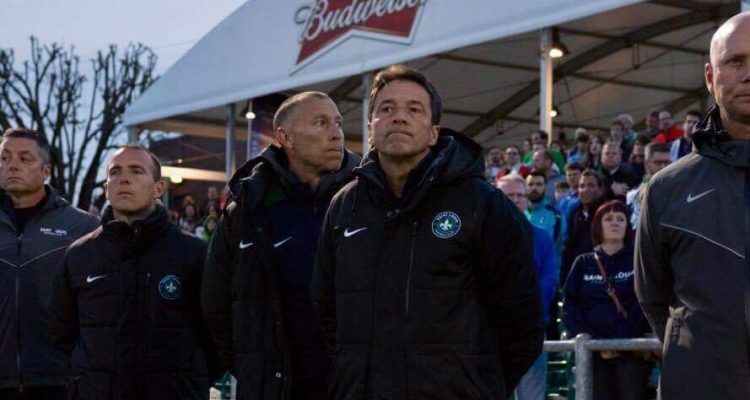 The Preki era at STLFC has come to an end. Well, a year isn’t exactly an era, but you get the point. Who could have thought it would all go so wrong? Last October Saint Louis FC fans collectively celebrated the hiring of Preki. And not just us fans, people all over the soccer landscape celebrated the move. This is what St. Louis needed. A proven winner. Everyone knew about the prickly reputation (the stories of his personality have trickled down over the year), but one thing was certain, he would win. Fast forward a year and St. Louis finished with one more win in the league and still outside the playoffs. Preki didn’t equal success. He pretty much scrapped the entire 2016 squad (only 3 players returned) and rebuilt the team with his guys. Fans said goodbye to favorite players and did so willingly for the promise of playoff soccer. We won’t dissect the entire season here. We lived through it. Everyone has an opinion on why it didn’t work out and I suppose they’re all as valid as the next. People outside of St. Louis will probably say we pulled the trigger on Preki too soon and should have given him more time. To those people I would say the decision was about more than wins and losses. It was about fit. Preki never “fit” in St. Louis. Rumors about how he handled players or criticism. His inability to connect to the fans or the city. His unwillingness to become a part of the overall soccer culture in St. Louis (which admittedly is a big hurdle for outsiders). In the end, as Mitch likes to say on the podcast, you can’t be a diva if you don’t win. IF Preki had won then we could all look past the other things he didn’t do right. But if you lose, you better be able to win over the fans another way. Preki doesn’t play that game. To be clear, I don’t think the game has passed him by or that he’s not a good coach anymore. Mark my words- Preki will be a winner again. Maybe at his very next stop. We saw glimpses of what he was trying to build. I can easily imagine a scenario where some of our losses were draws and some of our draws were wins and we could have walked into the playoffs. But ifs don’t pay the bills. In the end it’s best for both STLFC & Preki to part ways. Hopefully we’ll both find a better fit. And we’ll find out who will be at the helm of STLFC next season on Monday night at Westport Social at 6pm. We’ll be there to welcome the new boss, whoever it is. Meet the New Boss…Anthony Pulis!